We in America are used to barbed wire whose purpose is to discourage cattle or sheep from wandering across boundaries. We're not so used to 8-inch barbs intended to discourage war horses from plunging across defense lines. 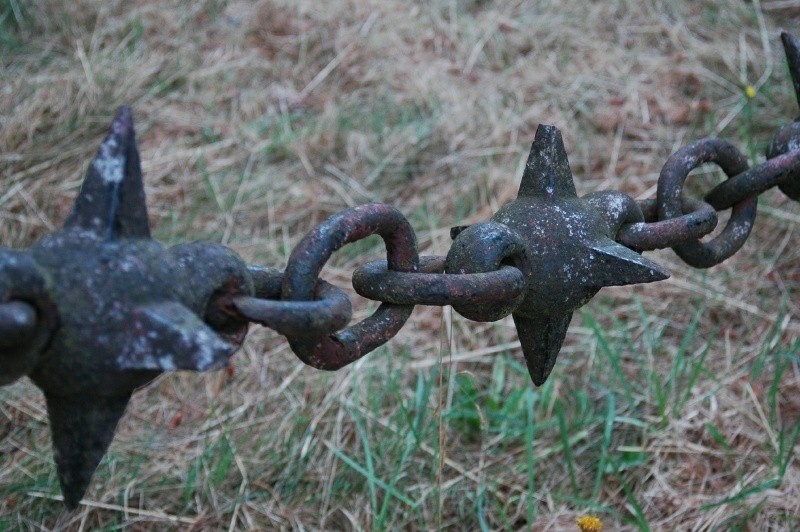 This is part of several lengths of defense chain in front of the Birr Castle moat.